For twenty-five + years, Seating Solutions has been the industry leader in the design, sales, fabrication and installation of custom seating for a variety of events. 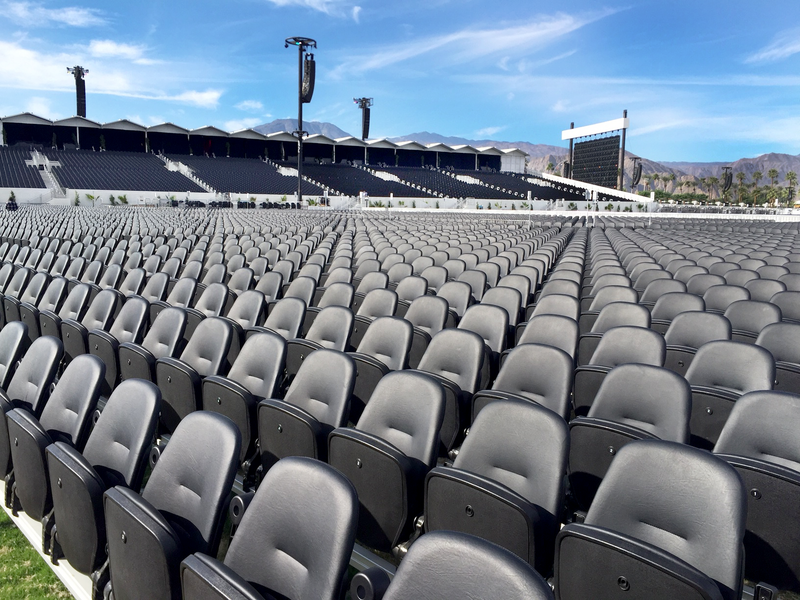 Earlier this year, GoldenVoice handpicked Seating Solutions to provide over 28,000 reserved premium seats for Desert Trip, the two week music festival in Southern California’s Coachella Valley. Desert Trip featured some of Rock’s largest legends: The Rolling Stones, Paul McCartney, The Who and Bob Dylan just to name a few; a big difference from its sister festival, Coachella. 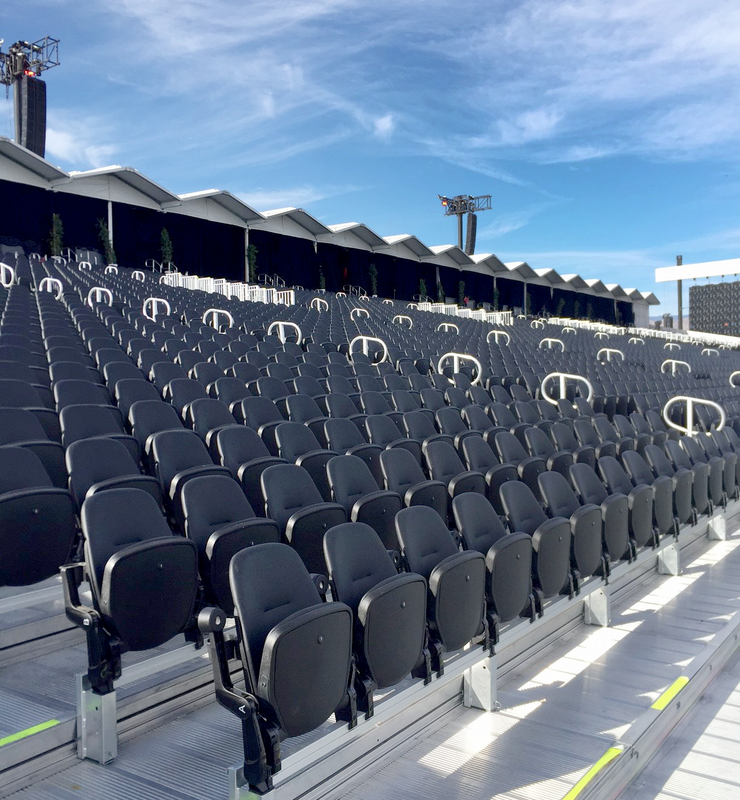 The GoldenVoice team brought in Seating Solutions to address Desert Trip’s special requirement: premium, first-class comfort, reserved seating that would exceed the expectations of the VIP clientele attending this once in a lifetime experience. GoldenVoice insisted the final product did not give the impression of a temporary venue and the amenities and sightlines surpassed permanent venue design standards. Seating Solutions answered this challenge by designing a field seating system along with a two-sided grandstand system providing 28,000 custom seats. 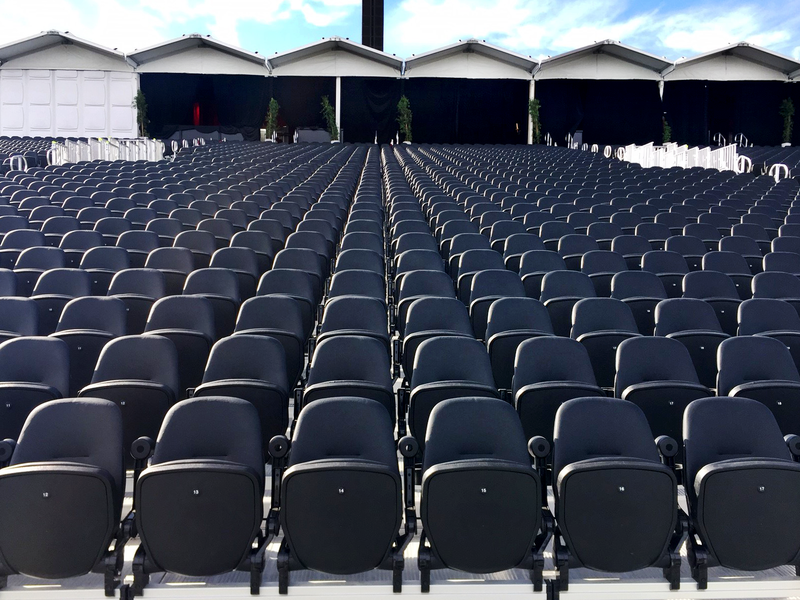 Utilizing the proprietary, patented, Bravo Grid Seats, Seating Solutions completed its largest installation of its kind to date. The Bravo Grid provided 15% more capacity for reserved floor seating which allowed for 2,000 extra VIP floor seats per show, all without moving any fans further from the stage. The added amenities that included tip-up armrests, cup holders and thick padded seats and backs were greatly appreciated by the attendees. 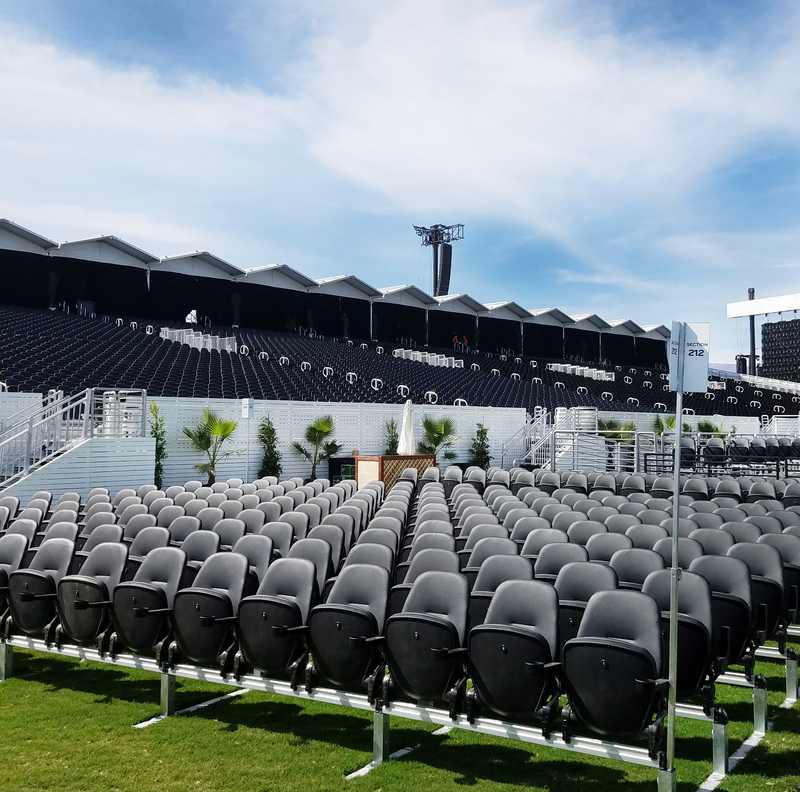 Additionally, Seating Solutions manufactured and installed two temporary Ultimate tiered systems complete with padded stadium style flip-up seats, VIP suite decks and front VIP veranda decks giving all fans a great view of the stage while having an unsurpassed level of comfort. The installations were completed in 19 days and dismantled within a week. 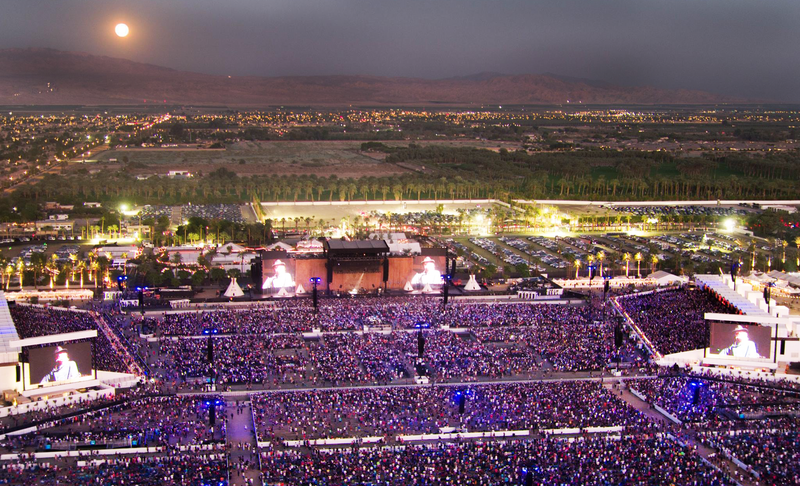 Seating Solutions was thrilled to be a part of Desert Trip and looks forward to continuing its growth within the concert and festival industry. We would like to extend our thanks and gratitude to the entire staff at GoldenVoice, the city of Indio, the performers and the fans for this experience. We look forward to returning to Indio in the near future!